A children's home operator has applied to convert part of a former prep school in Rotherham back in to education use. Rudston Preparatory School on Broom Road closed in 2015 due to a decline in pupil numbers. Now a planning application has been submitted on behalf of Leicester-based Happy Education to change the use to planning class D1 - non-residential institutions. The sale of the prep school at 59, 61 and 63 Broom Road, well-known to many local people in the town, was completed in 2016 after being marketed by Rotherham commercial property agents, Burgess Commercial. It followed significant interest and the property was sold to a private local purchaser for owner-occupation as a dwelling. 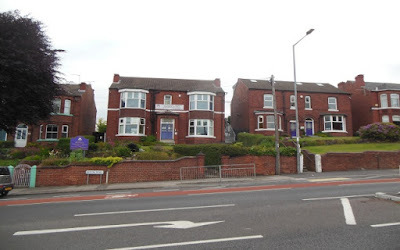 Rotherham Council approved an application to change the use for 59 Broom Road to residential in 2015. Applicant for the latest proposal, Ranjit Bains, stated in the application that number 59 was originally a school for young people. Then converted to a residential dwelling. "Our request is for change of use back to a school provision to teach up to 15 young people. There is plenty of parking at rear of the site [and] ample playing area." Happy Children's Homes Limited currently operates a children's home in Leicester which was rated Good by OFSTED in 2017. The family style home is registered to provide care and accommodation up to three children and young people who have emotional and/or behavioural difficulties. Rudston Preparatory School was founded in 1948, with only 48 pupils on roll. The main school was in one of the original houses, although it grew considerably since then to occupy three houses and other, purpose built additions, in the residential area.